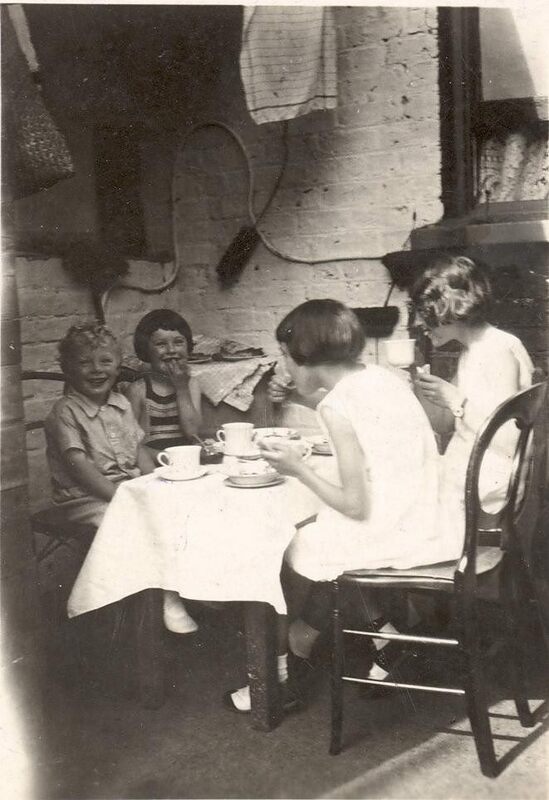 On the Kidd’s Terrace page, Mark left a comment mentioning that his great grandfather Henry Kidd built the terrace. 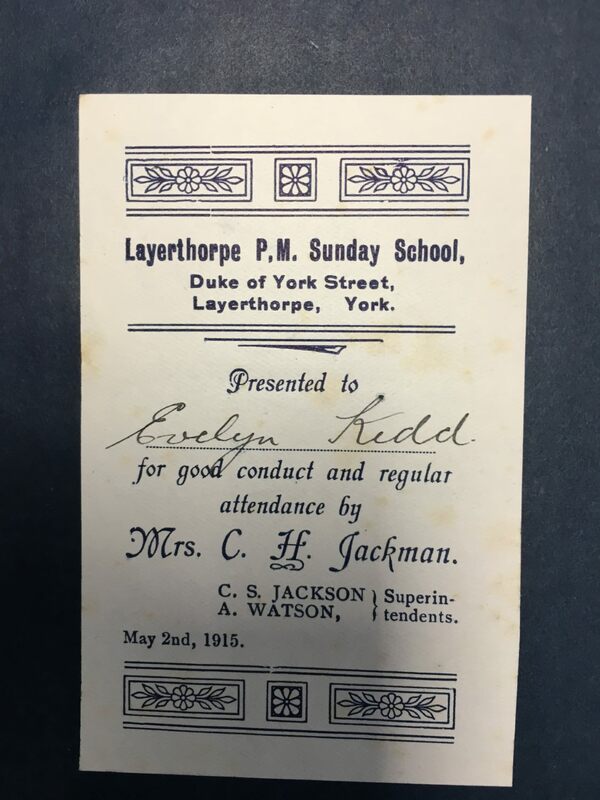 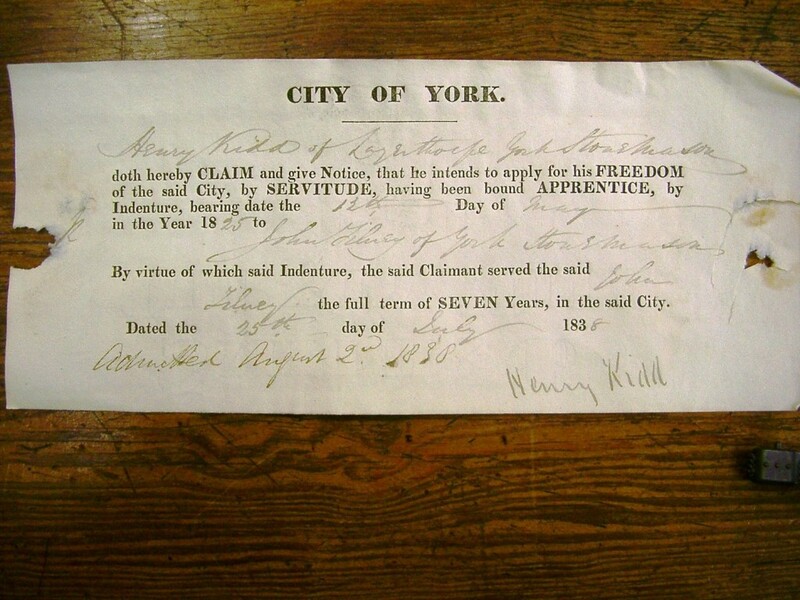 Henry was a Freeman of York, and this photo shows one of the documents relating to this, dating from 1838. Mark says this is ‘my mum aunt & uncle plus 1, I think in Kidds Terrace’. 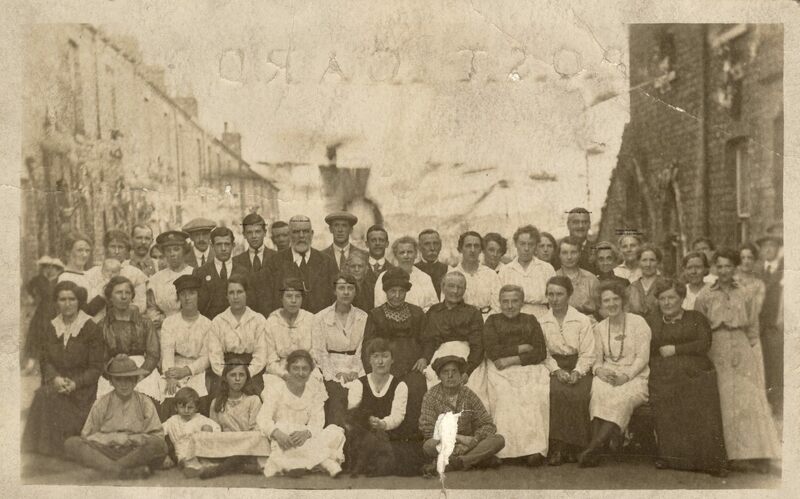 Kidd’s Terrace street photo, maybe dating from the end of the First World War? 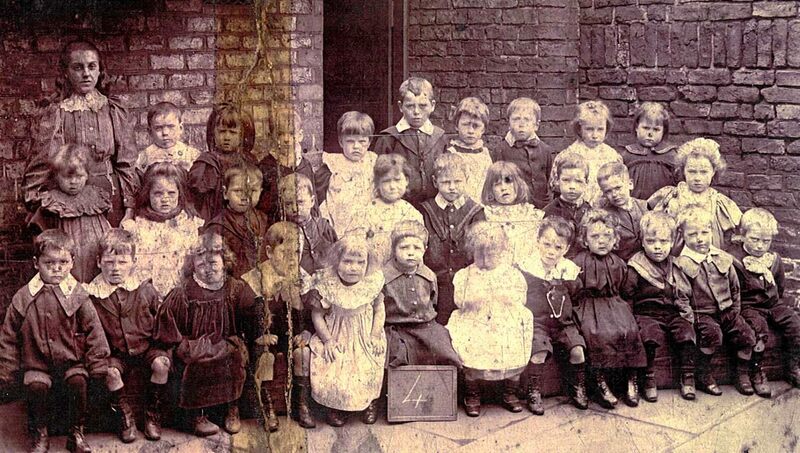 Many families from the Layerthorpe area moved elsewhere, many to Tang Hall. 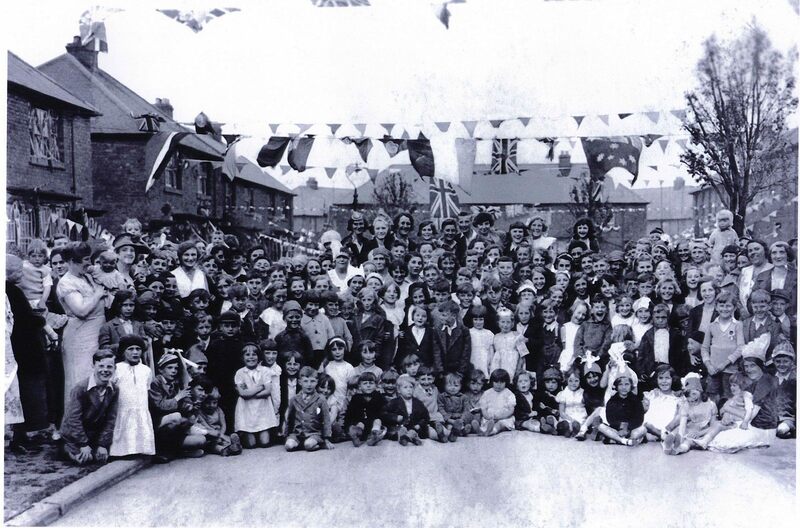 This photo shows one of the coronation parties there in 1937. Many thanks to Mark Turner for sending these images.